Let’s be straight forward, this list was compiled due to a sincere passion for brunch paired with an unwillingness to be patient on weekend mornings. Thus, for brunching times when the lines are simply too long at a Denver staple (Snooze, Jelly, Sassafras, Denver Biscuit Company, etc. ), opt for these equally delicious and somewhat under the radar options. You’ll be glad you did. Full disclosure: there are tons of great options in our city. These are just a few Denver She Wrote favs! Avelina – This may not be the first that come to mind when considering a morning noshing session, but think again. The menu boasts ample options, and houses with one of the best bloody Mary’s the city has to offer (sincerely phenomenal, they utilize house-made infused pickle vodka). We also love their mimosas, which come in a variety of fresh flavorings (pictured). The atmosphere is quiet, upscale and is an ideal location for girl gatherings such as bridal or baby showers. 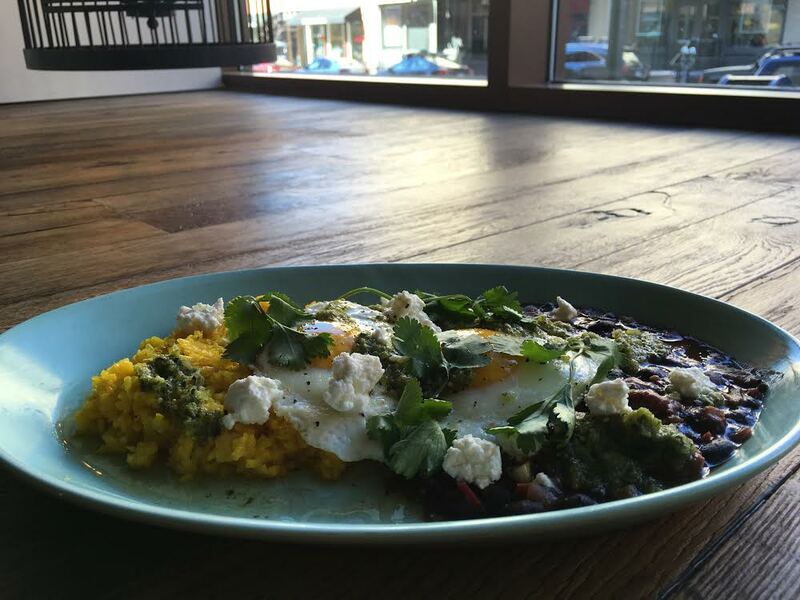 Splurge on the pastries and don’t forget to indulge in the red beans and rice with an over easy egg. We are so thrilled that this downtown establishment offers a weekend brunch. 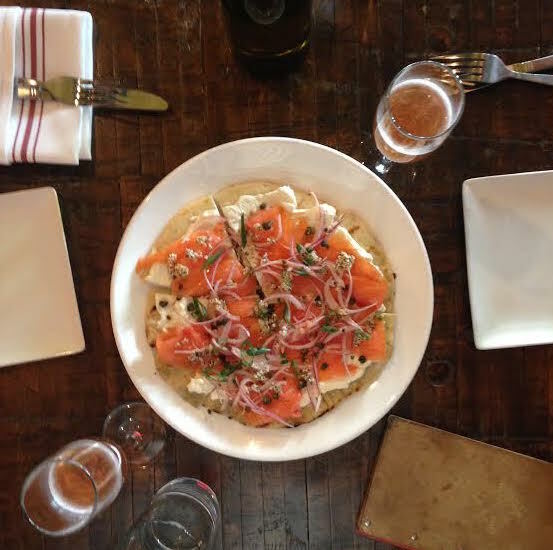 Central Bistro– Say it with me: Smoke Salmon Flatbread. A marriage of cream cheese, red onions, capers, and everything bagel seasoning. In addition, the street side café offers endless mimosas with seasonal flavorings in addition to classic orange. This is the perfect location for people watching, soaking up the patio, and grubbing before a big day. Park & Co. – Hop across town and settle into a seat at the beloved Uptown establishment. A menu favorite, especially for libations, The Michelada, mixing Tecate, Ballast Point Bloody Mix, and lime. Talk about a wonderful wake up call. The food is straightforward, and checks off all the marks for breakfast including a burrito, sandwich, to even tasteful twist on oatmeal. D Bar – Yes, the desert dynasty also offers delicious breakfast and morning cocktails. For a sweeter option, and a classic to the restuarant, select their Banana & Bourbon waffles. A boozy breakfast baked good! And don’t shy away from the menu’s more savory fare. The corn beef hash and crab cake Benedict may just be some of the best around. Why do we love this option? No matter how picky of an eater is in your crew, D Bar will have something to satisfy their needs. The Lobby – For the party animal within, The Lobby is always a go-to. The mimosas flow like water and the food is always especially filling. This may just be the best place to recover from a hangover. Or, of course, an ideal location for kicking off an epic bluebird day. 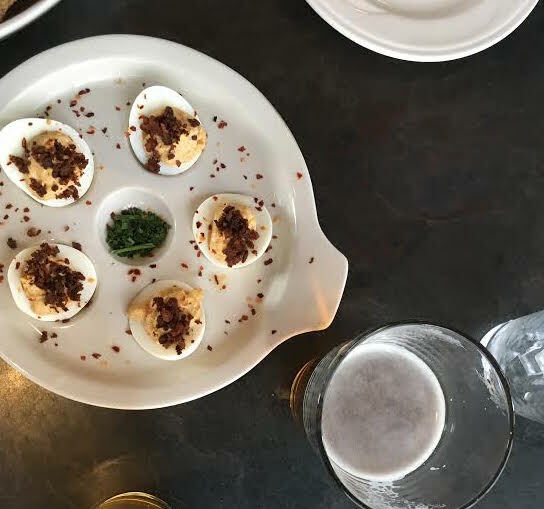 Don’t miss out on their sizable list that contains everything from ample Benedict flavorings to cheesy steak and potatoes and even deviled eggs. The Copper Pot – For our friends to the South, check out this Broadway hotspot and hit up The Copper Pot. Their breakfast menu is full of the typical and wholesome meals you’re looking for first thing in the morning. The cozy kitchen offers everything from build-your-own-omelettes to specialty skillets and of course quintessential morning munchies. Classics such The Copper Stacker give diners the best of all worlds: buttermilk pancakes, eggs, and bacon. Affordable, friendly, and delectable. Where are you grubbing on the weekends? We’d love to hear!